L.A. Weekly is proud to present Sips & Sweets 2017! In its fourth year, our now annual holiday party will feature over 30 of the Los Angeles’ top bakers and most well-reputed mixologists. Join us Thursday, December 14nd from 8 p.m. to 11 p.m. at the Petersen Auto Museum, and sample delicious confections (and some savory options), sip on handcrafted cocktails and shop for amazing holiday gifts and trinkets. Curated by the L.A. Weekly’s own food critic Besha Rodell and food editor Katherine Spiers, this eating, drinking and shopping extravaganza is one not to be missed. This year’s ‘eats’ lineup features sweets (and some savories) from Ococoa, Wanderlust Creamery, Mercedes Binge Desserts, Otium, and much more to come! Hand-crafted cocktails will be prepared by Christiaan Rollich of A.O.C. Wine bar, representatives from Resident DTLA, The Roger Room, The Pikey, Nerano, Lock & Key, Lucques, Tavern, La Cuevita, Otium, 1886 Bar at The Raymond, and plenty more yet to be announced! All chefs will offer tasty samples of their famous sweet and savory treats, while each bartender will present sips of their signature holiday drinks. General Admission tickets include: entry into the event (and museum), unlimited food samples, beer, wine and artisanal cocktail samples as well as access to our artisanal vendor village. VIP Admission ticket includes: all of the General Admission perks plus 1 hour early entry into the eventand an exclusive VIP Gift Bag. Sponsors of this year’s event include: Effen Vodka, Maker’s Mark, Angel City Brewery, Amoeba Music, Barefoot Wine, Cacique, Health-Ade Kombucha, Food Forward (charity), Imperfect Produce, Hubert’s Lemonade, The Dude’s Brewing Co., WVapes, and more to be announced! A portion of proceeds from the event will be donated to Food Forward. Food Forward rescues fresh local produce that would otherwise go to waste, connecting this abundance with people in need, and inspiring others to do the same. Follow L.A. Weekly on Facebook facebook.com/LAWeekly, Twitter @laweeklystreet, Instagram @LAWeekly and Foursquare for updates as they unfold. We hope to see you there! L.A. Weekly, and morerecently LAWeekly.com, has Los Angeles covered, with investigative reporting, comprehensive calendar listings and forward-thinking cultural coverage, including daily blogs like the highly regarded Squid Ink, which covers the city’s food scene. We keep our readers loyal with stories by some of the country’s finest writers—now accessible through our mobile platforms. In 2007 L.A. Weekly was the first newspaper to be awarded the Pulitzer Prize for its food criticism. This year, restaurant critic Besha Rodell was honored with a James Beard Award, widely considered food writing’s top prize. L.A. Weekly is excited to announce the return of Brunch at the Races, the third annual brunch extravaganza! Taking place on Sunday October 15th, from 11 a.m. to 2 p.m.at Santa Anita Park, this event is sure to be one to remember! Curated by LA Weekly Editor Mara Shalhoup, this event will feature signature brunch bites from over 30 of Los Angeles’ most iconic breakfast, brunch and lunch spots. New eats added!! The following restaurants have confirmed attendance at this year’s event: AR Cucina, Pez Cantina, Fred 62, Myke’s Café, Kobawoo House, Jones Coffee Roasters, Monkey Bar, McConnells, Chez Tex, Poppy + Rose, Red Herring, Cindy’s Eaglerock Restaurant, Pono Burger, Little Dom’s, Sweet & Savory, Mascarpone Cheesecakes, La Huesuda Tacos, Tavern, and even more to come! Sponsors of this year’s event include: Beam Suntory’s Effen Vodka and Maker’s Mark, The Dude’s Brewing Company, Angel City Brewery, Bai, Cacique, Rita’s Italian Ice, Zico, Hubert’s, Imperfect Produce, with more to come. Tickets are on sale now! And can be purchased at: https://www.ticketfly.com/purchase/event/1523763?utm_source=law&utm_medium=press. General Admission tickets will be available starting at $40 and include: entry into the event, full day admission to Santa Anita Park, unlimited food samples from 30+ restaurants, beer/wine/cocktail samples from our partners, access to entertainment and a vendor village. A limited number of VIP admission tickets will be available starting at $60. VIP Admission tickets include all general admission perks plus access to an exclusive VIP lounge and VIP gift bag. 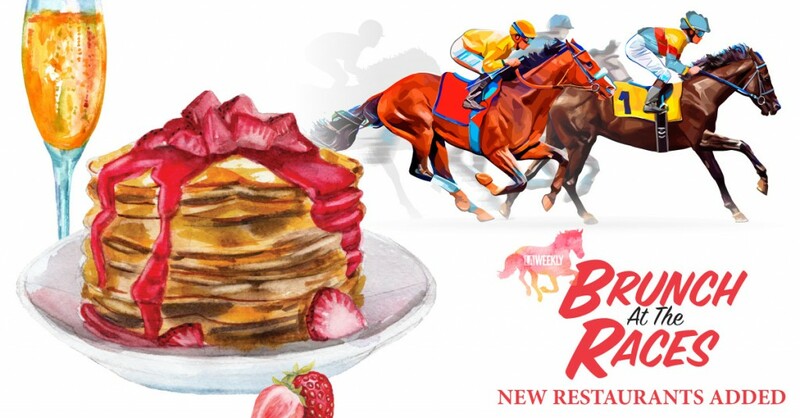 Don’t miss out on our second annual Brunch at the Races! L.A. Weekly, and more recently laweekly.com, has Los Angeles covered, with investigative reporting, comprehensive calendar listings and forward-thinking cultural coverage, including daily blogs like the highly regarded Squid Ink, which covers the city’s food scene. We keep our readers loyal with stories by some of the country’s finest writers—now accessible through our mobile platforms. L.A. Weekly has won more awards from the Association of Alternative Newsweeklies than any other paper in the country, and in 2007 was the first newspaper to be awarded the Pulitzer Prize for its food criticism. L.A. Weekly is excited to announce the line-up for this year’s Artopia at Union Station in DTLA! On Saturday, August 26th from 8 p.m. to 11 p.m., join us as DUBLAB and L.A. Weekly Managing Editor Drew Tewksbury curate yet another tantalizing celebration of the vibrant arts and culture scene of Los Angeles. This year’s event will feature live music, DJs, performance artists, art installations, and live activations from some of the city’s most well reputed artists including: Keren Oo, Elsewhere, Art of Olfaction, Indiecade, Alex Pelly, and even more yet to be announced! In addition to an immersive art experience, the soirée will feature handcrafted cocktails, shaken and stirred by some of the city’s best bartenders, and light bites from some iconic LA food spots. 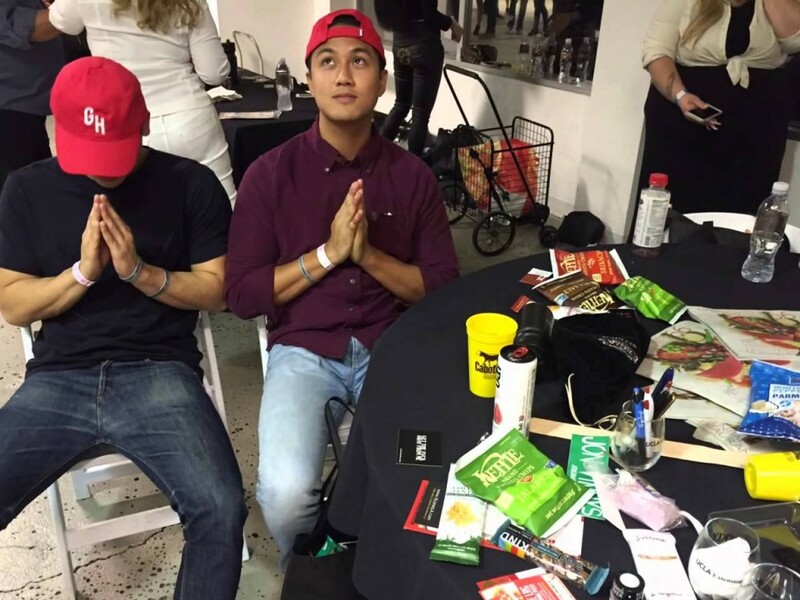 Event partners include: Angel City, Effen and Courvoisier, Barefoot Wines, The Dudes’ Brewing Co., Pabst Blue Ribbon, Califia Farms, Bai, Health Ade Kombucha, Hubert’s, Amoeba, Imperfect Produce, Zico, The Greek, and more. Tickets are on sale now at [http://www.ticketfly.com/event/1498996?utm_source=law&utm_medium=press]. 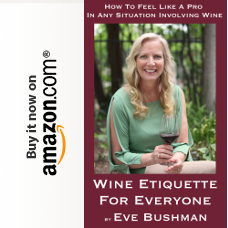 General Admission tickets are $25 and include entrance to the event as well as wine, beer and spirits samples, food bites, and live entertainment. A limited number of VIP Admission tickets will be available for $45 and include all of the General Admission perks in addition to hour early entry into the event to enjoy premium sampling and an exclusive VIP gift bag. A portion of this year’s proceeds will benefit the non-profit DUBLAB. For more information on Artopia and biographies of the participating artists, check out our hashtag, #ArtopiaLA and our website, artopia.laweekly.com. Follow L.A. Weekly on Facebook at facebook.com/LAWeekly, twitter @laweeklystreet, Instagram @laweekly and Foursquare for updates. L.A. Weekly and laweekly.com has Los Angeles covered with investigative reporting, comprehensive calendar listings, and forward-thinking cultural coverage, including daily blogs like the highly regarded Public Spectacle, which covers the city’s arts scene. We keep our readers loyal with stories by some of the country’s finest writers—now also accessible through our mobile platforms. L.A. Weekly’s arts, theater, and film critics have recently been honored with top prizes from the L.A. Press Club, and in 2007, the paper’s food critic won the first Pulitzer Prize for food criticism. L.A. Weekly is excited to announce the return of their signature event, Burgers & Beer, to their 2017 food festival calendar! Taking place on Saturday, April 29th, from 4 p.m. to 7 p.m. at The Los Angeles Memorial Coliseum in DTLA, this event is a slider and craft beer lovers dream! Curated by L.A. Weekly’s editorial staff, this event will feature Los Angeles’ best burger restaurants serving their signature sliders and California’s best craft breweries sampling the brews that have made them famous! As of press time, the following restaurants have confirmed attendance at this year’s event: Baldoria, Belcampo Meat Co., Burger City Grill, Button Mash, byCHLOE, Grill ‘Em All, Hinoki and the Bird, Hopdoddy Burger Bar, Mascarpone Cheesecake by Chef Turok, Myke’s Café, Simmzy’s, Slater’s 50/50, The Pikey, The Upper West, Venice Whaler and WOLF with more to be confirmed. As of press time, the following breweries have confirmed attendance at this year’s event: 101 Cider House, Absolution Brewing Company, Angel City Brewery, Arts District Brewing Company, Baja Brewing Company, Beachwood BBQ & Brewing, Boomtown Brewery, Brewyard Beer Company, Claremont Craft Ales, Coronado Brewing Company, Dry River Brewing, Figueroa Mountain Brewing Company, Fireman’s Brew, Inc., Golden Road Brewing, High Water Brewing Company, Homage Brewing, Indie Brewing Company, Iron Triangle Brewing, Kona Brewing Co., Ladyface Ale Companie, Lagunitas Brewing Co., MacLeod Ale Brewing Co., Noble Ale Works, Pizza Port Brewing Co., Scholb Premium Ales, Sierra Nevada Brewing Co., Simmzy’s, St. Killian Importing, Strand Brewing Co., The Bruery, The Dudes’ Brewing Co., The Lost Abbey, Transplants Brewing Company and Wolf Creek Brewery with more to be confirmed. A portion of this year’s event proceeds will benefit Food Forward. Food Forward rescues fresh local produce that would otherwise go to waste, connecting this abundance with people in need, and inspiring others to do the same. General Admission tickets will be available starting at $50 and include entry into the event, unlimited food samples from 20+ restaurants, craft beer samples from 40+ breweries, access to entertainment and vendor village. A limited number of VIP admission tickets will be available starting at $70. VIP Admission tickets include all general admission perks plus hour early entry into the event and a VIP gift bag. Don’t miss out on L.A. Weekly’s third annual Burgers & Beer celebration! It’s no secret that Eve’s Wine 101 co-hosts Cocktails on the Roof (save the date: 8/25/17!) 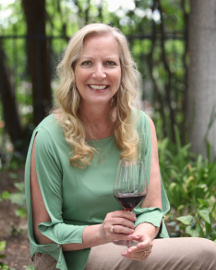 and is currently recruiting wineries – and guests – to Wine in the Pines. (That date is set for 6/10/17). Lisa D: This year is SITV 10th Anniversary. Great local event. Me: Masters of Taste is a richly designed event held on the field of the Rose Bowl with wine, spirits, cocktails and food samples from the best restaurants in LA will be held on 5/7, Lucky Rice LA on 7/28 works with Bombay Sapphire Gin and serves up both Asian inspired cuisine and more, and LA Weekly’s The Essentials held on 3/26 is another event with a heck of a lot of food to sample, wine and spirits, and exceptionally large! L.A. Weekly is excited to confirm the final restaurant line up for The Essentials at the California Market Center in DTLA. Join us Sunday, March 26th, 2017 from 2 p.m. – 5 p.m. for LA Weekly’s signature food and wine extravaganza! Curated by our award-winning food writers and critic Besha Rodell, the event showcases signature bites from restaurants featured in our 99 Essentials restaurant issue that hits stands the same week. Along with great food, guests will enjoy wine from top-shelf wineries, cocktail samples from our liquor partners, as well as non-alcoholic sips and shopping in our vendor village. Guests can expect more of LA’s hottest chefs, wineries and homegrown Los Angeles vendors, all in our expanded California Market Center Penthouse. Take in 360° views of stunning DTLA as you enjoy samples of the best food and drink this city has to offer. Confirmed restaurants include: Angelini Osteria, animal, a.o.c, Baroo, Bestia, Beverly Soon Tofu, Bigmista’s Barbecue & Sammich Shop, Burritos La Palma, Cacao Mexicatessen, Chengdu Taste, Chi Spacca, Chichen Itza, Colonia Publica, Coni’Seafood, Dune, El Coraloense, El Huarache Azteca, Elf Café, E.R.B., Guelaguetza, Guerilla Tacos, Guisados, Isaan Station, Jitlada, Jon & Vinny’s, Kogi, La Casita Mexicana, Le Comptoir, LocoL, Love & Salt, Lucques, Lukshon, Maude, Melisse, n/naka, Night + Market, Parksbbq, Pine & Crane, Pok Pok LA, Providence, Racion, Republique, RiceBar, Rose Café, Rustic Canyon, Salt’s Cure, Sotto, Spago, Summer Rolls, Szechuan Impression, The Bellwether, The Hungry Cat, Trois Mec, Tsjuita LA, Union and Wexler’s Deli. New to The Essentials this year will be The Freshmen 15. A restaurant must have been open for a year in order to qualify as “essential.” That takes many new restaurants we love out of the running, so we decided to add a new list of up-and comers, places that would be considered for the 99 if they weren’t so young. The Freshmen 15 will run in the 99 Essentials issue, and will be celebrated alongside the 99 at our Essentials event as well. VIP guests will be able to try samples from The Freshmen 15 at the event at 1pm before doors open to the general public at 2pm. Confirmed Freshmen 15 include: 71Above, Baran’s 2239, Erven, Gus’s Fried Chicken, Gwen, Here’s Looking at You, Holbox, Kali, Kato, Lalibela, Michael’s, Salazar, Shibumi and Winsome. Tickets are on sale now at http://ticketf.ly/2iRpb9p. General Admission tickets include: entry into the event, unlimited food samples, beer/wine/cocktail tastings, entertainment and more! VIP Admission tickets include: access to the Freshman 15 showcase at 1pm, entry to the event, unlimited food samples, beer, wine and cocktail tastings, entertainment, VIP gift bag and more! Confirmed sponsors for the event include: UCLA Extension, Jim Beam, Basil Hayden’s, Life Water, ONE Coconut Water, Center Theater Group, Melissa’s Produce, Cacique, Angel City Brewery, San Antonio Winery, Califia Farms, Bai, Gotta Have S’more, DRY Sparkling, Farm Fresh to You, Health Ade Kombucha, and Jakeman’s with more to come. Follow L.A. Weekly on Facebook facebook.com/LAWeekly, Twitter @laweeklystreet, and Instagram @laweekly for updates as they unfold. Join us Sunday March 26 for LA Weekly’s signature food and wine extravaganza! Curated by our award-winning food writers and critic Besha Rodell, the event showcases signature bites from restaurants featured in our 99 Essentials restaurant issue that hits stands the same week. Along with great food, guests will enjoy wine from top-shelf wineries, cocktail samples from our liquor partners, as well as non-alcoholic sips and shopping in our vendor village. One of my photos from a past event. Bellwether, The Hungry Cat, Trois Mec, Union, Wexler’s Deli with more to come! New to The Essentials this year will be The Freshmen 15. A restaurant must have been open for a year in order to qualify as “essential.” That takes many new restaurants we love out of the running, so we decided to add a new list of up-and-comers, places that would be considered for the 99 if they weren’t so young. The Freshmen 15 will run in the 99 Essentials issue, and will be celebrated alongside the 99 at our Essentials event as well. VIP guests will be able to try samples from The Freshmen 15 at the event at 1pm before doors open to the general public at 2pm. Confirmed Freshmen 15 include: 71Above, Baran’s 2239, Erven, Gwen, Here’s Looking at You, Holbox, Kali, Michael’s, Salazar, Shibumi and Winsome with more to come. Tickets – http://ticketf.ly/2iRpb9p. General Admission tickets include: entry into the event, unlimited food samples, beer/wine/cocktail tastings, entertainment and more! VIP Admission tickets include: access to the Freshman 15 showcase at 1pm, entry to the event, unlimited food samples, beer, wine and cocktail tastings, entertainment, VIP gift bag and more! L.A. Weekly is proud to present the final lineup for Sips & Sweets 2016! In its third year, our now annual holiday party will feature 21 of the city’s top bakers and 24 of LA’s most respected mixologists. Join us Friday, December 2nd from 8 p.m. to 11 p.m. and sample delicious confections, sip on handcrafted cocktails and shop for amazing holiday gifts and trinkets. Curated by the L.A. Weekly’s own food critic Besha Rodell and food editor Katherine Spiers, this eating, drinking and shopping extravaganza is one not to be missed. This year’s confirmed dessert lineup features sweets from: Alexander’s Steakhouse, Bearclaw Kitchen, Beverly Hills Beignet, Choctál Single-Origin Ice Cream, Cobblermania!, Copenhagen Pastry, Crème Caramel LA, Enjoyer, Mascarpone Cheesecake, McConnell’s Fine Ice Creams, Mercedes Binge Desserts, Nickel Diner, Ococoa, Red Bread, Salt & Straw, Street Churros, The Broadway Baker, The Gourmandise School, Waffling Around, Westbound and WP24 by Wolfgang Puck. Confirmed hand-crafted cocktail samples include: 1886 Bar at The Raymond, 71ABOVE, Bar Toscana, Birch, Broken Spanish/BS Taqueria, Chaya. E.P. & L.P., Guelaguetza. Hinoki & the Bird, House of Punch, Hyperion Public, Lock & Key, Lost Property, Miro, Otium. Red O Santa Monica, Sassafras, Seventy 7, Sonny’s Hideaway, Sotto, The Bar at Belcampo Santa Monica, The Lincoln, The Lucques Group and The Roger Room. General Admission tickets include: entry into the event and museum, unlimited food samples from over 20 LA pastry chefs, beer, wine and artisanal cocktail samples from over 20 mixologists as well as access to our handcrafted vendor village with 20+ vendors. VIP Admission ticket includes: all of the General Admission perks plus 1 hour early entry into the event and a special VIP Gift Bag. 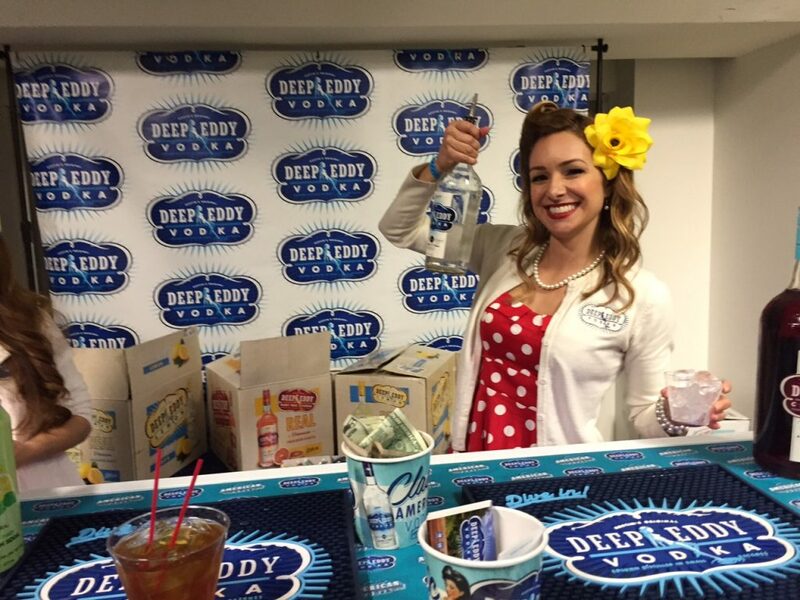 Sponsors of this year’s event include: Hendrick’s Gin, Tullamore DEW Whiskey, Reyka Vodka, Milagro Tequila, Sailor Jerry Rum, Monkey Shoulder, Amoeba, Angel City Brewery, Aquafina, Brew Dr. Kombucha, Beautiful Things LA, Califia Farms, Dave & Busters, DIABOLO Beverages, DRY Sparkling, Firestone Walker, Gelsons, KIND, Negra Modelo, Southern California Buick GMC, Spearmint Rhino, WVapes, Farm Fresh to You, Destiny Candle, London Manori and Panache Jewelry with more to come. 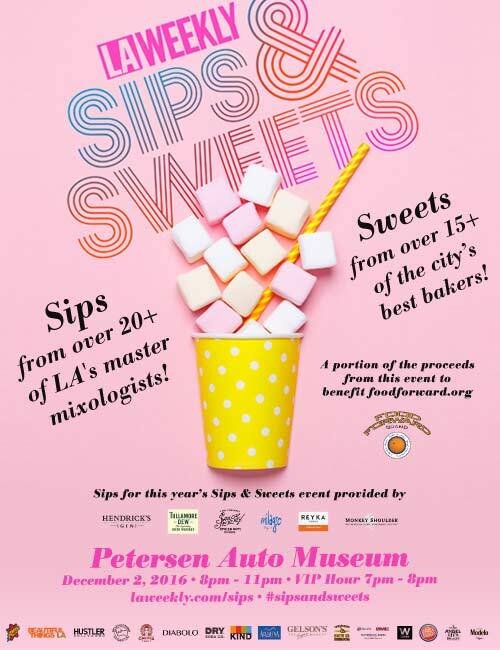 L.A. Weekly is proud to present Sips & Sweets 2016! In its third year, our now annual holiday party will feature over 15 of the city’s top bakers and over 20 of LA’s most respected mixologists. Join us Friday, December 2nd from 8 p.m. to 11 p.m. and sample delicious confections, sip on handcrafted cocktails and shop for amazing holiday gifts and trinkets. Curated by the L.A. Weekly’s own food critic Besha Rodell and food editor Katherine Spiers, this eating, drinking and shopping extravaganza is one not to be missed. This year’s dessert lineup features sweets from Crème Caramel LA, McConnell’s Fine Ice Creams, Copenhagen Pastry, WP24 by Wolfgang Puck, Bearclaw Kitchen, The Gourmandise School, Choctál Single-Origin Ice Cream, Westbound and Red Bread with more to come! Hand-crafted cocktails will be prepared by Matt Wise of The Roger Room, Joshua Goldman of The Bar at Belcampo Santa Monica, Adam Nystrom E.P. & L.P., Gabriella Mlynarczyk of Birch, Robin Chopra of House of Punch, Christiaan Rollich of The Lucques Group, Chris Whelan of Sassafras, Ben Scott of Miro, Mike Lay of Broken Spanish and BS Taqueria, Jeremy Lake of Lost Property, Gregory Westcott of Hinoki & the Bird, Darwin Manahan of 71ABOVE, Derek Lyons of Sonny’s Hideaway, Brynn Smith of Sotto, and Chris Amirault of Otium with more to be confirmed! All pastry chefs will offer tasty samples of their famous sweet and savory treats, while each bartender will present sips of their signature holiday drinks. Tickets go on presale Wednesday, September 7th at 10 a.m. and on sale to the general public on Monday, September 12th at 10 a.m. at http://ticketf.ly/2bUoaqn. 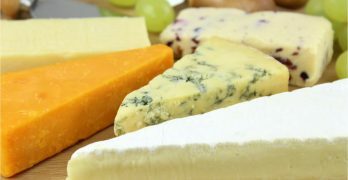 General Admission tickets include: entry into the event, unlimited food samples from over 15 LA pastry chefs, beer, wine and artisanal cocktail samples as well as access to our handcrafted vendor village with 20+ vendors. VIP Admission ticket includes: all of the General Admission perks plus 1 hour early entry into the event and a special VIP Gift Bag. Sponsors of this year’s event include: Hendrick’s Gin, Tullamore DEW Whiskey, Reyka Vodka, Milagro Tequila, Sailor Jerry Rum, Monkey Shoulder, Aquafina, Spearmint Rhino, Hustler Hollywood, Beautiful Things LA, Califia Farms, DIABOLO Beverages, DRY Sparkling, KIND, Farm Fresh to You, Destiny Candle and London Manori with more to come.